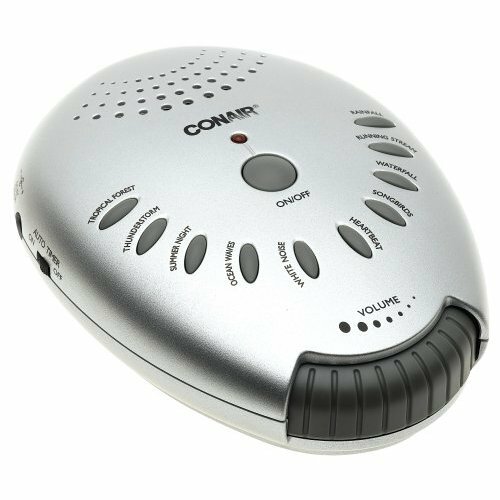 We found our Conair Sound Therapy noise maker on Ebay for about $24 including shipping. The Conair noise maker (or Sound Therapy) device does a good job of drowning out our noise while our son tries to sleep. The Running Stream sound is better than the others, but I'd guess there are many that would work. You don't have to use batteries, but can when you need to. The large volume knob is easy to use in the dark. The sounds are low quality, you can always hear some static. What do you expect for $20 and something that you listen to while you sleep?